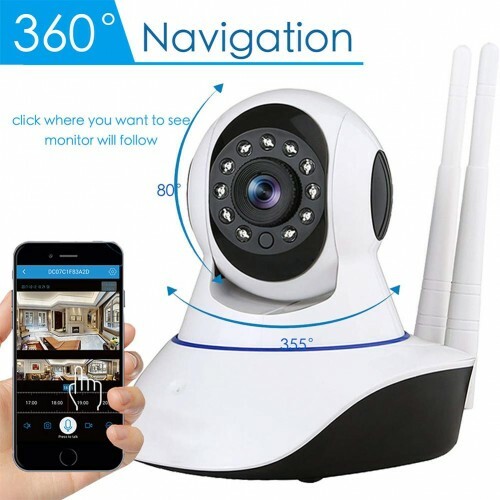 OUYAWE Camera, 1080p HD Indoor Pan/Tilt/Zoom Wireless IP Security Surveillance System with Night Vision, Motion Tracking - Cloud Service Available. 2. 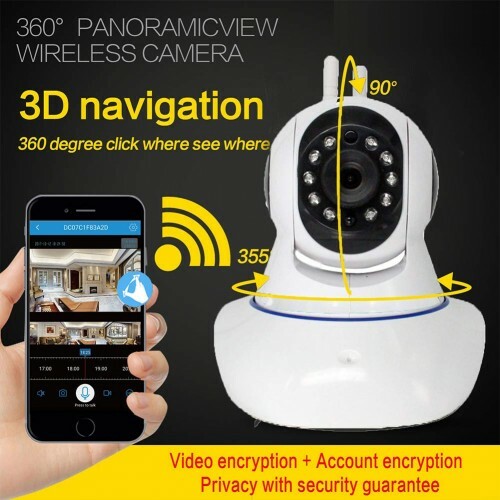 PANORAMIC 355 DEGREE VIEW: Fisheye Lens design and 960P HD Definition with IR night vision. The panoramic 355 degree wide angle covers a very large area without blind spot so that keeps your house safe and secure. 3. VIEW ACTIVITY FROM SAFE LOCATION-REMOTE CONTROL: If you’re a business owner, it’s important to see what’s going on at your store or building at all times, especially if you sell valuables such as electronics. Having an alarm system is ideal, but so is having hidden cameras for monitoring customer activity and possible criminal activity during non business hours. Our system gives you full access viewing remotely via your iphone, android phone or tablet so you’re never out of the loop. 4. 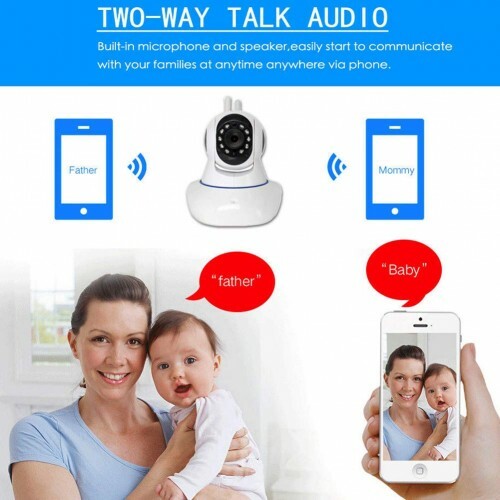 TWO-WAY VOICE REAL-TIME COMMUNICATION: Instant end-to-end conversation. 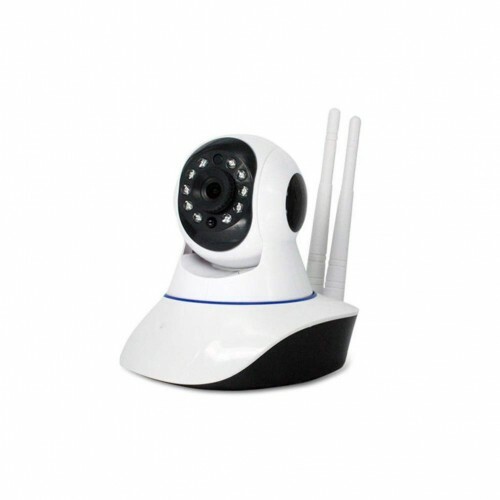 Pull out your phone, press the button, you can easily turn on the two-way voice, conduct remote visual communication anytime and anywhere. 5. 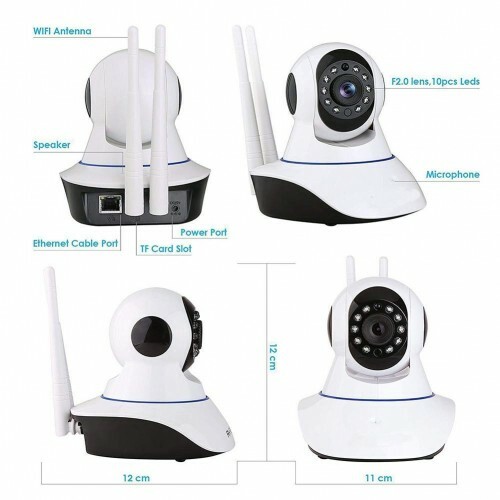 MOBILE DETECTION INFORMATION PUSH: It is recommended to turn on the "motion detection" feature when no one is present, and the camera will automatically catch moving objects And send the alarm message, the phone cam check the abnormal situation at any time, alarm video will be automatic.